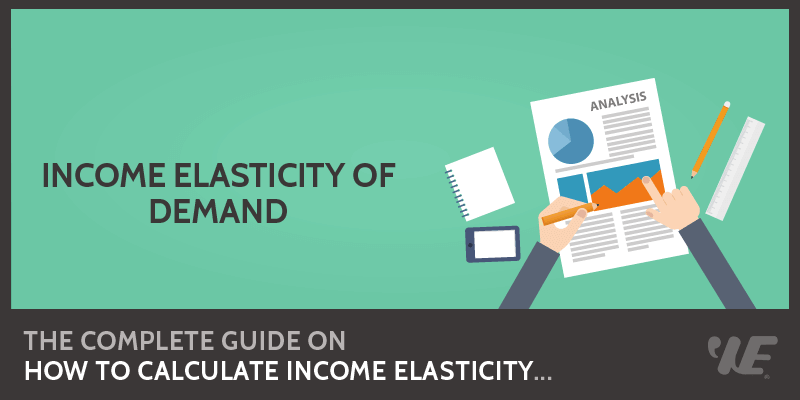 ​You can use the income elasticity of demand formula to measure how a change in quantity demanded for a certain product or service can affect a change in the consumer's income, and vice versa. The midpoint formula for calculating the income elasticity is very similar to the formula we use to the calculate the price elasticity of supply. To compute the percentage change in quantity demanded, the change in quantity is divided by the average of initial (old) and final (new) quantities. To compute the percentage change in income, the change in income is divided by the average of initial (old) and final (new) incomes. An airline company offers three seat categories: economy, business and first class. Based on company sales, more passengers are buying economy class tickets than business class tickets. The country’s economy is undergoing a recession characterized by a drop in consumer spending. The average income has decreased, and consumers are looking for ways to spend less by switching to the cheapest seat – the economy class. We can see that the relationship between the economy class, and the change in income is inversely proportional. The increase in demand for economy class corresponds to a decrease in the income level of consumers, indicating a negative income elasticity of demand for the economy class. This means that the economy class is an inferior product. Now let's take a look at another example so you can understand clearly how to calculate the income elasticity of demand. Country X’s economy is growing. Its GDP rose from $40,000 to $80,000 in five years. Annual demand for Product A declined from 15,000 units to 12,000 units. The use of Product B, however, increased from 14,000 to 16,000 units. To determine which product is normal and which is inferior, we can use the formula given above. In our example, Product B's are considered normal or superior goods because they have a positive income elasticity of demand, while Product A's are considered inferior goods because they have a negative income elasticity of demand.